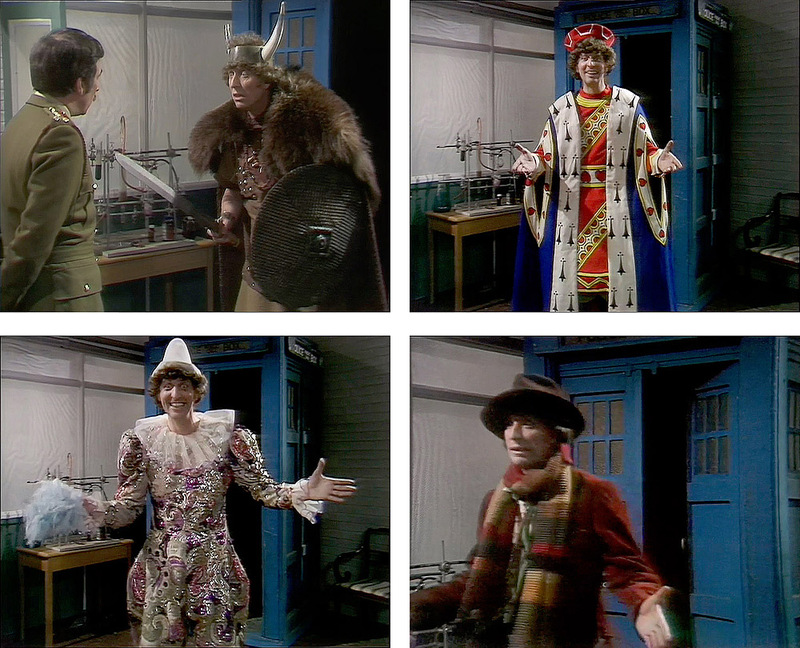 A while back I took a look at the costume transition scenes that kick off the start each Doctor’s era. One of the most bizarre has to be Tom Baker’s, where he repeatedly bursts out of the TARDIS in a series of inappropriate costumes: from a Viking; to the Knave of Hearts; through a clown outfit; before finally donning his future trademark fedora hat and scarf. 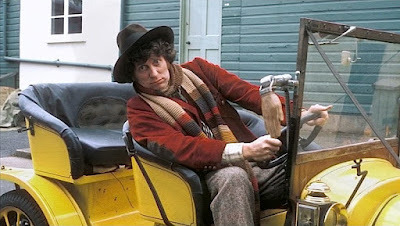 Tom appeared in 42 adventures (counting Shada, the unfinished story from 1979). Here is my breakdown of the costumes he wore. It should be said that part of season 12 was recorded out of order compared to the broadcast. This gave rise to a continuity error with The Doctor’s scarf, which gets shorter for The Ark In Space before returning to its debut length for The Sontaran Experiment, only to loose it again for the rest of the season. 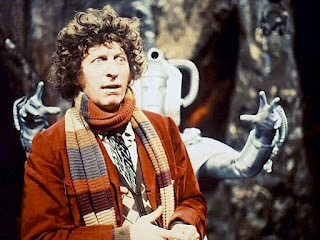 Leading in directly from the ending of Planet of the Spiders, the Tom starts off wearing Pertwee’s costume from that serial. After escaping from the infirmary, he wears the charcoal-grey velvet jacket from that outfit over his hospital gown. 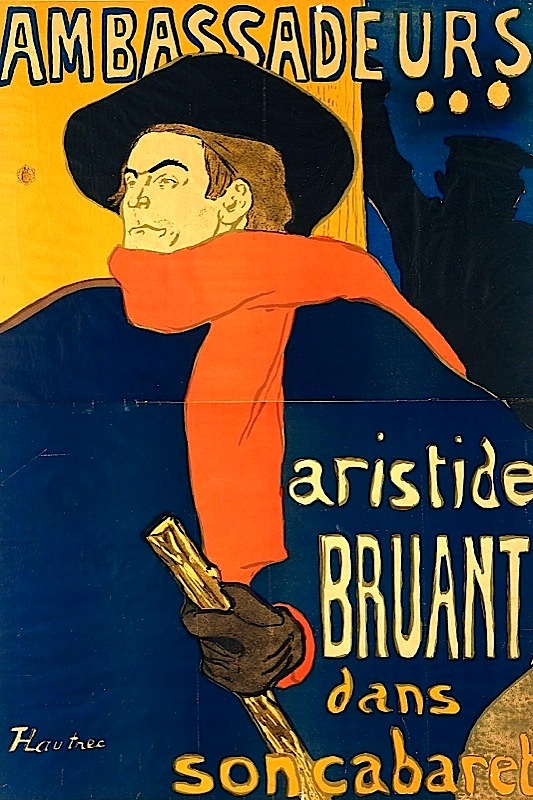 The Doctor’s new costume, designed by James Acheson was inspired by a French poster advertising Aristide Bruant at the Ambassadeurs nightclub in Paris, 1892. 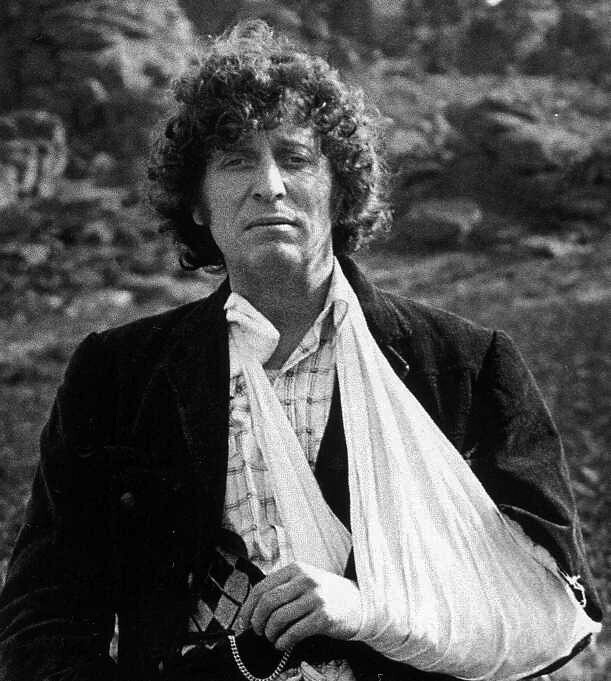 He also prominently wears the TARDIS key on a long chain around his neck. 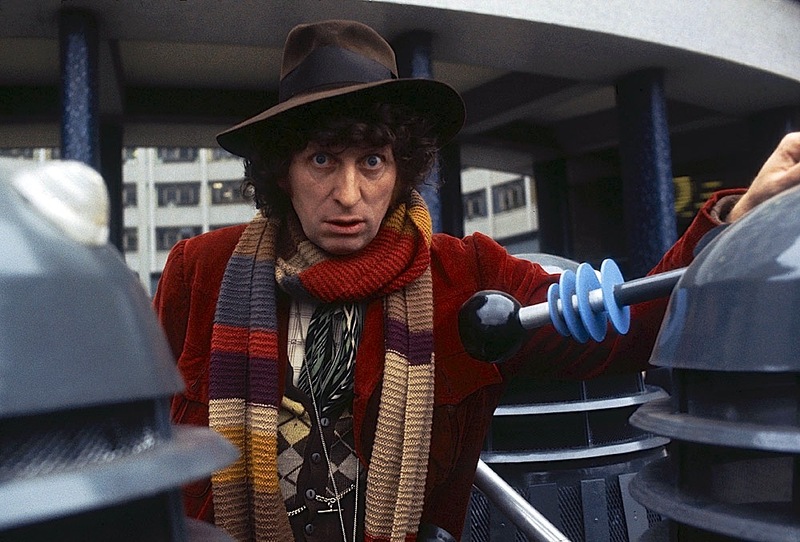 The costume is worn in full for a majority of the story, though a for a brief scene in episode one he forgoes the hat and scarf; the hat in episode two; and drops the hat, scarf and jacket when things get tough in episode four! The established costume remained unchanged from his first adventure, though his fedora came under attack as part of the plot in episode one and isn’t seen again until the very end of episode four! The shooting jacket has many unique features including two box-pleated and buttoned chest pockets; two box-pleated, buttoned and bellowed waist pockets; a loose half belt; a double-pleated back; dark grey elbow patches; and most uniquely what appears to be a flapped pocket on the left sleeve. 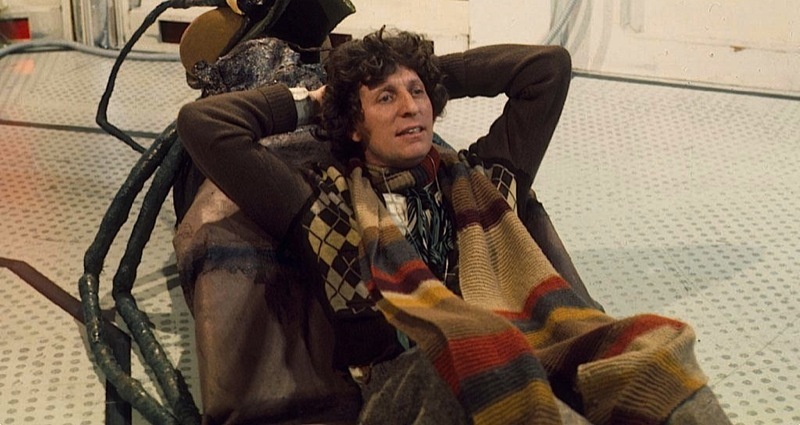 For some scenes in episode three and four he also ditched his jacket, giving us a good view of the diamond jumper, which has long, lighter coloured sleeves compared to the body design. 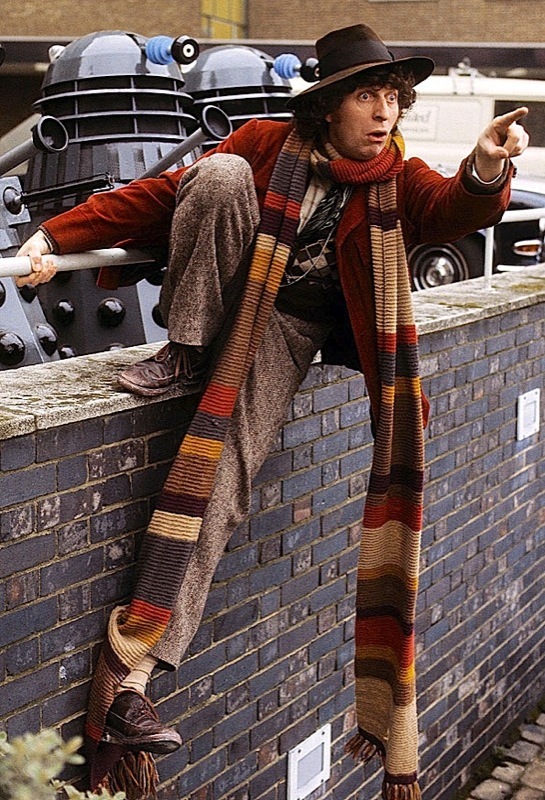 In anticipation of the next adventure, The Doctor adds a loose brown felt overcoat to his outfit just prior to teleporting down to Earth in the closing scene. Picking up from The Ark in Space, the costume remains the same with the addition of the baggy brown overcoat. The fedora hat is intermittently worn during the story and a subtle change of how the scarf was worn, with one of its tails swung over his back. 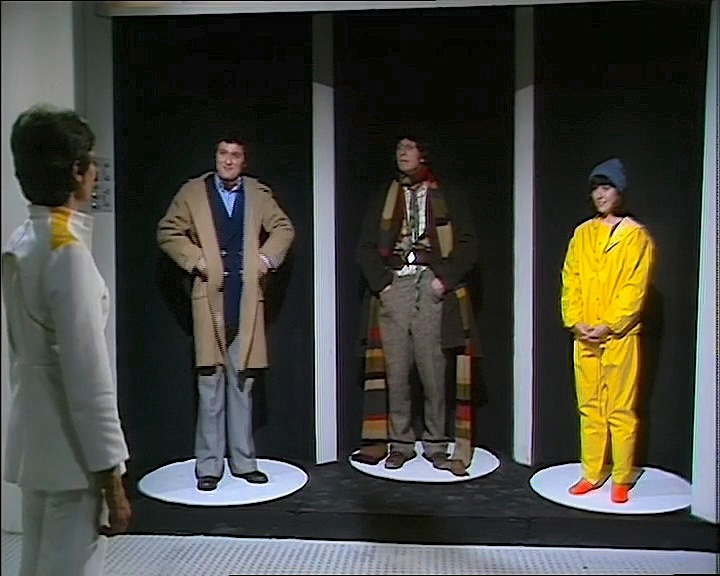 As all of the serials in this season lead into one another, The Doctor continues to wear his outfit from the end of The Sontaran Experiment, although his cardigan is now mis-buttoned, with the bottom button in the second to bottom buttonhole and the rest buttoned accordingly. At the beginning of episode 1 the Doctor has swung both tails of his scarf over his left shoulder, presumably still cautious after injuring himself on set during the previous serial. 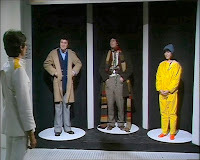 Once inside the Kaled dome he loses the overcoat and the hat, only to somehow reacquire them in the closing scenes of Episode 6. The photo below gives a good look at his silver Double Albert watch chain he has looped through the buttonhole of his cardigan. Okay, so this story opens with one of the most peculiar costume continuity errors ever. 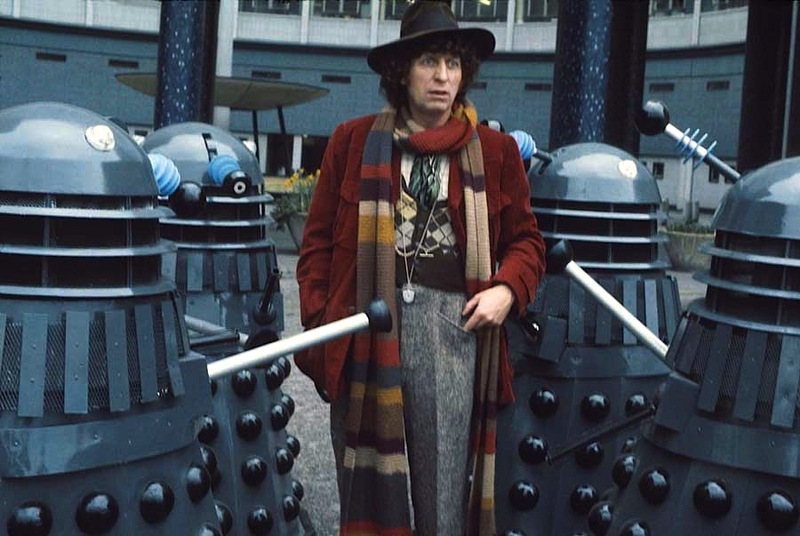 The closing scene of Genesis Of The Daleks has The Doctor wearing his fedora and brown baggy overcoat, but once they are being transported by the time ring back to Nerva station, he has lost them. 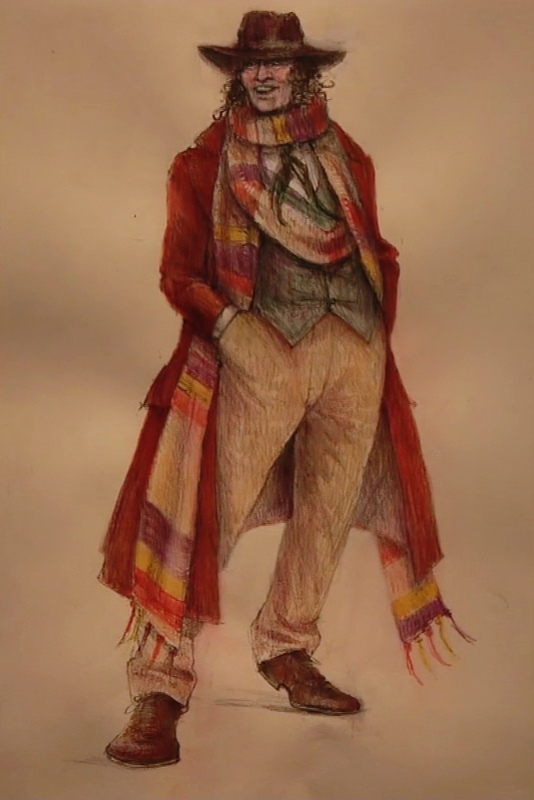 The costume is then the same basic combination (sans the hat) as worn throughout season 12. 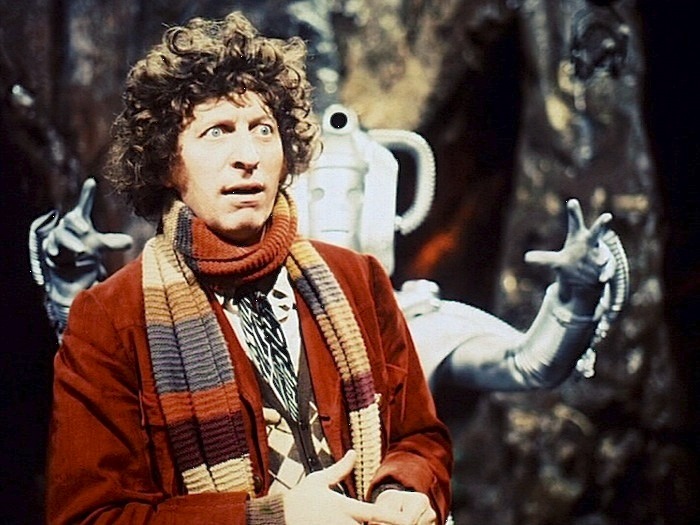 Presumably still safety conscious, in the scenes in the caves of Voga, the Doctor tucks the ends of his scarf into his jacket pockets to keep them from dragging on the floor. In one scene you can briefly spot his red and yellow striped suspenders with brown leather ends. Do you know if the brown overcoat he sometimes wears has any sort of fastening on it? It just seems to hang freely - so to speak. It's structure looks odd, though - it doesn't seem to have any lapels either. Yes - I was looking at it too and was thinking I might have a go at one. Hi, do you have any tips as to where I could locate an argyle sweater/vest similar to this? Thanks. Brilliant work on everything! Well done! 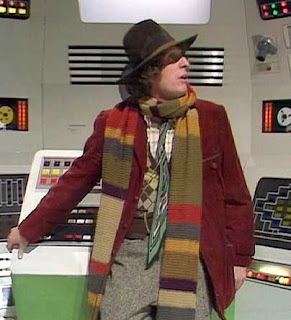 Most of the time, Tom Baker wore beige or brown socks. However, in Robot you get a few glimpses of what appear to be blue and beige argyle socks. But the glimpses are so brief that it didn't really fit in the Costume Index proper. I can't believe they made the error!! !